I had the opportunity to listen to Jim Fisher speak about leadership a few months ago and he had a few interesting insights, specifically with regard to leadership and managing. A world full of change needs flexibility. We need to have that ‘vision’ of where we can go, and a plan to attain that vision, but it needs to be made out of sand – not etched in stone – ready to change as times change. He went on to discuss one of his favourite piece of work, King Henry V by Shakespeare (making the point that Shakespeare is a remarkable man, with his plays still achieving more than 50% market share long after his death). 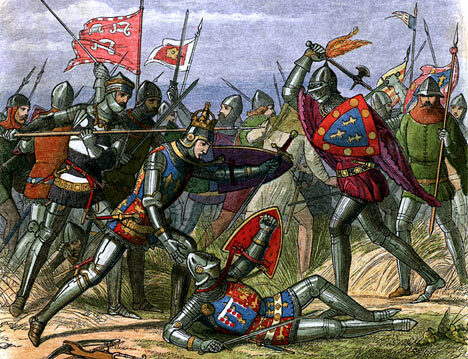 In telling the famous story of the English defeat of the French at the Battle of Agincourt, despite terrible odds and an army on the verge of collapse, Shakespeare did it differently than those before him. He painted a picture of a great leader. ‘The first that the king did was have a battle plan’ Mr. Fisher observes, explaining that he knew the business of war and developed an innovative and complex medieval battle plan. His challenge then was to motivate his troops to execute it. That leadership plan was developed after King Henry spent the night before the battle sitting around the campfires listening to his soldiers and learning how they felt. ‘Stand up and fight together!’ became the simple idea behind the leadership plan. It became evident that King Henry was going to suffer the same as his troops: ‘In real life you don’t always have the confidence your boss has as much skin in the game as you do’ Mr. Fisher says. Shakespeare had the king follow closely the rules of persuasion as taught by many business schools: Be credible, communicate shared benefits, and use vivid language for impact. ‘On the eve of battle, Henry is aware of what he is feeling. He is saying to himself ‘This is terrible. What have I done? I’m weak’. He listens to how how men feel, and he decides, in his speech not to sugar coat the truth. ‘Today, many bosses try to keep the positive spin on things. The fact is people in the trenches know how bad it is long before you do’ Mr. Fisher says. This entry was posted in The Leaders Journey and tagged Jim Fisher, King Henry V, Leadership, Vision by michaelweening. Bookmark the permalink.